Please select the year and award program for which you wish to order an item, select your item, search for your specific award. 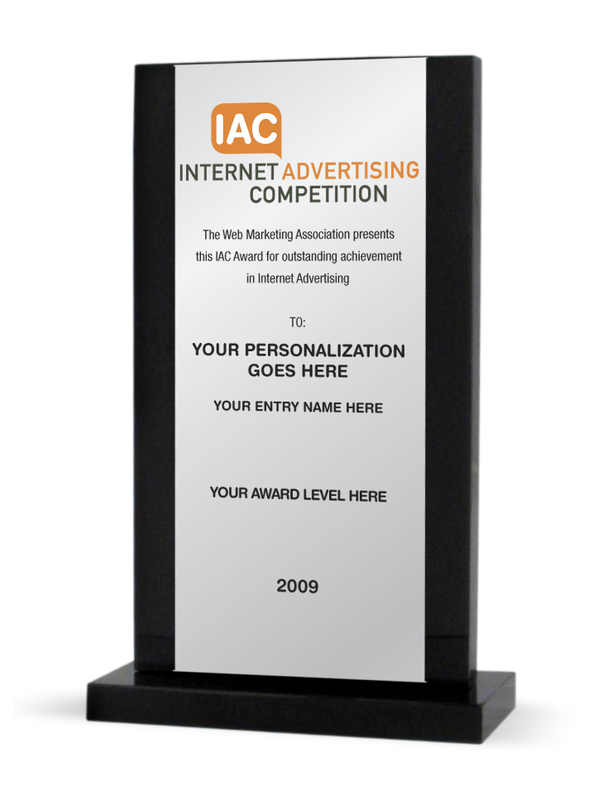 Then select the merchandise you wish to have personalized with your award information. Winning an award is only valuable if you let everyone know about it! The Web Marketing Association, Inc. (WMA) is an independent organization founded with the purpose of evaluating and recognizing the standard of excellence on the World Wide Web. 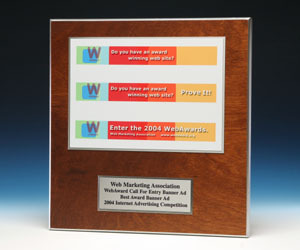 Its Web site is located at www.webmarketingassociation.org. 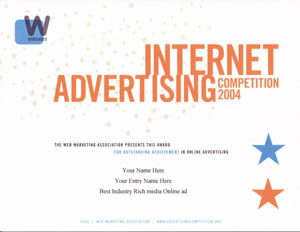 �2008-2016 Web Marketing Association. All rights reserved.